Minnesota Twins right-hander Michael Pineda coughed up six runs in 3 2/3 innings of work in a Thursday start against the Blue Jays. Toronto went on to win 7-4. Thu, Apr 18th Braves starter Julio Teheran allowed five earned runs on seven hits and four walks while striking out six over 4 2/3 innings in a loss to the Cleveland Indians on Saturday. 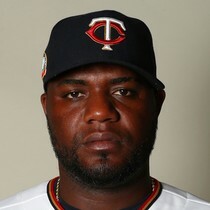 Minnesota Twins right-hander Michael Pineda held the Tigers to three runs in six innings while striking out five on Saturday. He earned the win as the Twins beat Detroit 4-3. Sat, Apr 13th Braves starter Julio Teheran allowed one earned run on six hits and two walks while striking out six over six innings in a win over the Mets on Sunday. The win brings him to 2-1 on the season. The game was postponed Thursday with inclement weather expected in the Minneapolis-St. Paul area Friday. It will be made up as part of a split doubleheader May 11. Thu, Apr 11th Braves starter Julio Teheran allowed six earned runs on five hits and three walks while striking out three over five innings in a win over the Rockies on Monday. The win was his first of the season. Minnesota Twins right-hander Michael Pineda pitched five innings of two-run ball to earn a 6-2 win over the Phillies on Saturday. Pineda struck out five and walked one in the outing. Sat, Apr 6th Braves starter Julio Teheran allowed one run on six hits and three walks while striking out seven over five innings in a no-decision against the Chicago Cubs on Wednesday. Making his first start since the 2017 season, Minnesota Twins right-hander Michael Pineda looked excellent in four shutout innings against the Indians. Pineda allowed just one hit and struck out five before being lifted for a reliever. Minnesota went on to win 9-3. 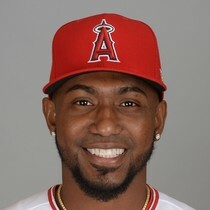 Sun, Mar 31st Julio Teheran put together a decent outing against the Phillies on Opening Day. He struck out seven, allowed three earned runs on four hits with two walks.